The Education Fellows represent a community of professional and scholarly individuals from a wide array of backgrounds and professions who share their experience, perspective and expertise with aspiring student entrepreneurs at Florida State University. Following graduation from Florida State University, Gary Brand joined the office of a Big 4 accounting firm in Miami, Fla. 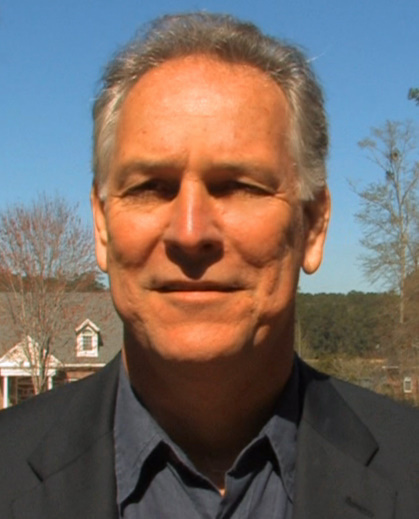 He went on to found an award-winning business development firm, Brand Ferland Advisors, in Savannah, Georgia in 1986. Brand Ferland Advisors helps established enterprises solve critical business issues. Since 2000, seven of the firm’s clients have won Business of the Year, and in 2012, one was named the Georgia Family Small Business of the Year. Brand attributes his firm’s success to a unique approach recognizing that issues tend to resurface in new places and ways. Therefore, fixing a problem requires the business owner to learn and grow. Brand co-authored the book, “Race to Simplicity – 4 Elements Vital for Small Business,” which pulls together tested strategies to simplify difficult tasks that businesses can often find overwhelming. Additionally, he serves on the Leadership Council of the National Small Business Association, a non-partisan organization with approximately 65,000 members. In recent years, the Small Business Chamber of Savannah honored Gary Brand twice, first as Small Business Advocate of the Year, then as Small Business Champion of the Year. Tracey Cohen is president and owner of Target Print & Mail, which until mid-2015 was an all-digital print shop called Target Copy. Her mother started the company in the early 80s on the edge of Florida State University. Cohen bought the company in 2009 and in 2015 acquired a commercial printing and mail company. Target Copy/Print & Mail has won numerous local and national awards for quality, service and community partnership, including Tallahassee Magazine’s Best of Tallahassee, Epicomm’s Soderstrom Society, and Quick Printing magazine’s “Top 100” printers. Cohen has a B.A. in Advertising/Journalism from the University of North Carolina at Chapel Hill. She is married to Jeremy Cohen, who heads up business development for Target Print & Mail. They have two daughters, Molly and Paige. Jodi Chase is the founder of The Chase Firm, a Precision Intelligence business providing deep research to some of the world’s most successful hedge funds and private equity firms. Chase is a well-established attorney and lobbyist with a background in investigative journalism. She started The Chase Firm after serving as the lead in-house intelligence resource, both domestically and internationally, for a multi-strategy, multibillion dollar global hedge fund. Her success in leading that fund’s explosive growth led her to expand the firm. Today, The Chase Firm works with a select group of clients who are looking for the unique edge provided by the firm’s proprietary services. The business stands as one of the most exclusive research providers in the hedge fund space. Before building her business, Chase was a partner in a statewide law firm and served as the General Counsel and lead lobbyist for the most respected business association in the Southeast. Chase approaches everything with a deep passion for winning, whether influencing important business legislation, representing national and international clients, or running marathons. 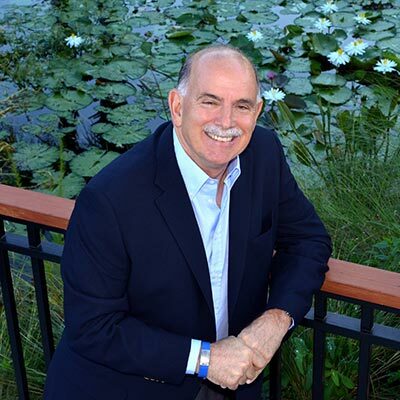 The fourth-generation “caretaker” of the Columbia Restaurant Group, Richard Gonzmart has been named – as part of more than 100 awards – Community Hero by the Tampa Bay Lightning, the Boys and Girls Clubs, and Big Brothers and Big Sisters. He also has been officially named a Luminary, a Visionary and a Philanthropist of the Year as well as Father of the Year, Hispanic Man of the Year, Businessman of the Year, two-time Alumni of the Year (Jesuit), Outstanding Citizen of the Year and Tampa Police Citizen of the Year. He has been inducted into five Hall of Fames, among them, the Distinguished Restaurants of North America (DiRoNA) Hall of Fame. Gonzmart serves or has served on dozens of non-profit boards and organizations, including a new appointment on Tampa General Hospital’s governing board. He is passionate about the education of our youth and young adults, and about finding a cure for cancer. Pope Francis recognized Richard with the highest recognition of the Catholic Church, the Pro Ecclesia et Pontifice. David believes in helping build better businesses. He has experience working with clients of all sizes in Florida and throughout the Southeast. He utilizes his knowledge of tax planning and consulting to help innovative, high-growth companies and individuals develop and achieve their goals. With a decade of experience at CRI, David provides clients with tax planning insights and services. His true passion is dedicating time and energy to assisting entrepreneurs and start-up companies with navigating the many accounting and tax compliance decisions that they face – as well as pioneering best practices for their future growth and success. 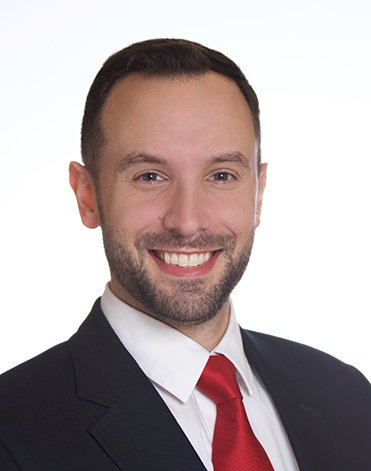 David received both his Bachelor’s and Master’s degrees in Accounting from Florida State University and is a member of both the American Institute of Certified Public Accountants (AICPA) and the Florida Institute of Certified Public Accountants (FICPA). In addition he services as a Board Member for the Tallahassee Network of Young Professionals and the Florida State University Credit Union. Throughout his career, Mr. Scott has invested in over a thousand primarily small cap public and private businesses. He founded or was a seed investor in over 20 start-ups and early stage companies encompassing financial services, online benefits, sports performance, motorcycle manufacturing and distribution, reality television, investor relations and public relations, film and music production. He founded The Volume Investor, Inc., an institutional equities research and technology firm which merged with Roberts-Slade, Inc. and developed into Neovest Trading, one of Wall Street’s premier electronic trading businesses which was ultimately sold to J.P Morgan in 2005. He is a co-founder of Infinity Capital Management, L.L.C., which currently manages approximately $500 million. In 2007 he was part of an investor group that purchased Velocity Sports, the country’s largest trainer of both amateur and professional athletes, where he was subsequently elected Chairman and CEO. Early in his career, Mr. Scott specialized in equity investments and risk arbitrage as Vice President of Oppenheimer & Co.
Mr. Scott was among the first to successfully incorporate artificial intelligence based analysis into the financial markets, and was awarded a Certificate of Achievement in 1997 for his work in “Volume/Supply and Demand Analysis” by the Market Technicians Association, upon whose board he also served. His research has been used as a reference source for financial publications including Barron’s, Investor’s Business Daily and The Wall Street Journal, as well as local papers and publications. He has guest lectured around the world to investment professionals as well as at the university level. In 2005 he moved to Tallahassee to pursue development of The Bowden Foundation for Ethical Leadership. Mr. Scott graduated from the Florida State University School of Business. Mark was a member of the Florida State University Flying High Circus. He is currently involved in strategic consulting and philanthropy. He married his wife Betsy in 1989, and has 3 children ages 16 to 24.